Picture from a great article on Mayan here. There's a magic in boats. I can't explain it, can't defend it, don't feel the need to try, but it's there. Especially old boats. 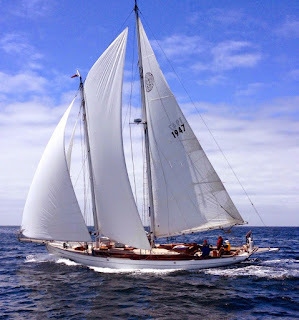 Especially wooden boats. 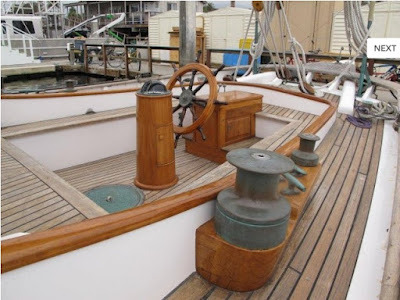 I've always liked wooden boats. When I sail into a new harbor, it's automatic - I look for wooden masts. I seek them out. There were many more in 98-99 the first time we were out here; they are a vanishing breed. But the stories you hear from the people who still sail them - they're worth seeking out. Crosby Stills Nash's "Southern Cross" has long been a favorite song of mine and of many sailors. The Southern Cross is a constellation that hoists itself up from the southern horizon as one sails south. It replaces the north star as an easy visual navigation mark. More than that, for north American sailors, the first sighting of the southern cross is something to celebrate as a marker of southward progress. 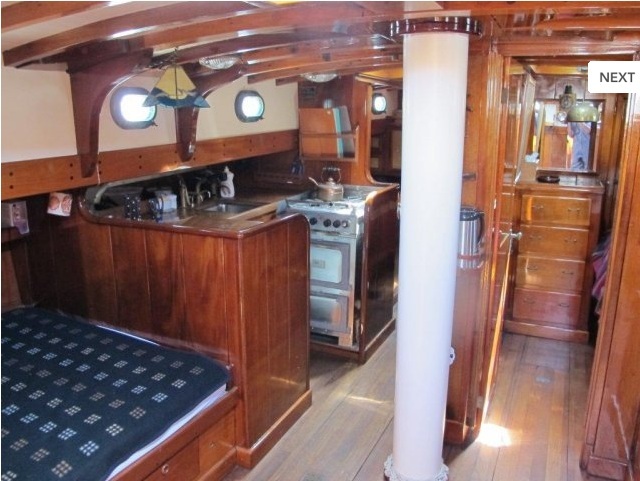 David Crosby (of CSN) bought a big beautiful 74' Alden-designed schooner before he really had much money at all. He wrote some of his best songs on board. 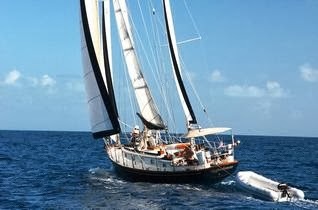 He bought her to actually sail and to adventure rather than as some kind of rock star party boat. Seems like he has taken great care of the old gal. "In 1967, after being kicked out of The Byrds, Crosby borrowed $25,000 from The Monkees’ Peter Tork and traveled to Fort Lauderdale, Florida, in search of a schooner. 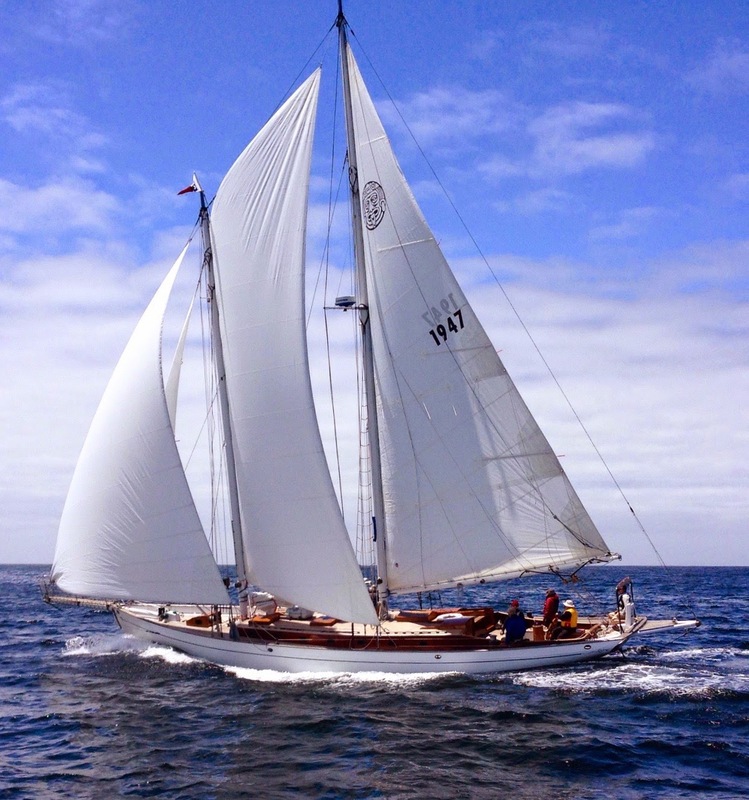 After buying Mayan and learning how to sail her, Crosby sailed to San Francisco and began living on her full-time in 1970. From the pictures, it looks like Crosby didn't crap her up with a bunch of ill-thought out upgrades but kept her simple, clean, beautiful, true to her heritage. She's been for sale for a couple of years. I just noticed that she had actually sold. I hope the owner has resources and judgement to treat her right.